Subsequently, Kontoglou wrote a paraphrase of the "Legend" accompanied by comments. This was published posthumously in the religious newspaper Orthodoxos Typos in four installments (February 10, March 1, April 10 and May 1, 1970). An oral version of it, recited by Kontoglou, is preserved at the Convent of the Annunciation on the island of Oinoussai, near Chios. I heard it when I visited the Convent with my mother around 1980. It had been recorded by the Abbess, Maria Myrtidiotissa Pateras; and she gave us the wonderful opportunity of hearing it. In the "Grand Inquisitor" Dostoevsky opposes Christ to His false representative on earth, to the the Jesuit Inquisitor, a dreadful monster who burned the "heretics" in the name of Christ, something unbelievable and incomprehensible. It is frightful to think what the devil can do in order to defame Christ! ...Christ does not utter a word from his mouth in order to reply to the questions of the Inquisitor, and for this reason he himself answers the questions which he asks. In other words, all that the Inquisitor says is an oppressive monologue that comes from the mouth of a creature that you think came up from Hell. This story is presented by Dostoevsky as a literary work of Ivan Karamazov, who was one of the sons of old Karamazov, educated in European philosophy. Ivan reads it to his younger brother Alyosha, who had become a monk, a disciple of an elderly confessor, a "Starets", as Russians call such persons (Orthodox Typos, Feb. 10, 1970). In the same article Kontoglou calls Dostoevsky "the most profound and apocalyptic Russian writer." Although "a philosophic spirit," says Kontoglou, "Dostoevsky writes here as an Orthodox Christian, who knows well Who the true Christ is and what His teaching is." 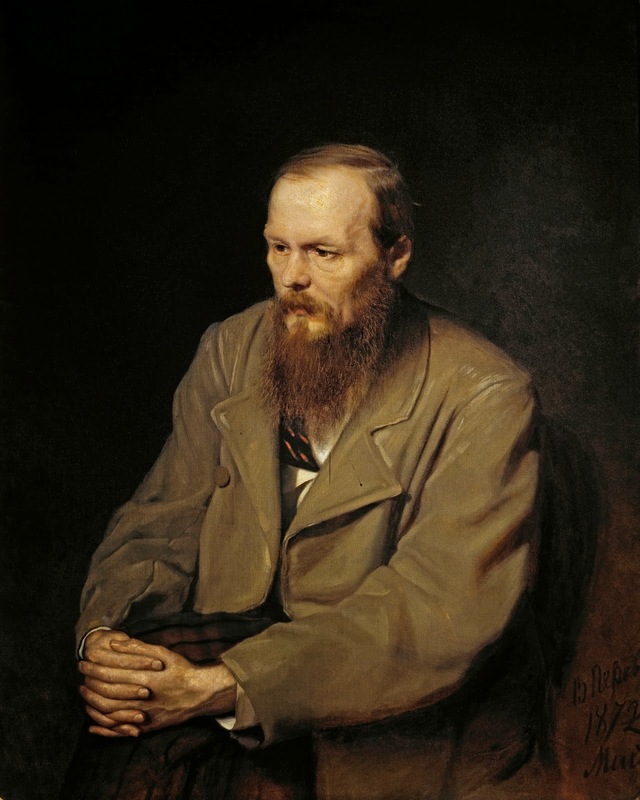 Dostoevsky has a depth which Westerners do not have. Western writers are usually superficial, they stay on the surface. An Orthodox heart can understand things which cannot be understood by those who do not have as their spiritual ancestors the Byzantines" (Eleutheria, May 9, 1954). In another article, "The Hellenic Spirit," he wrote that Dostoevsky was nourished spiritually by the Greek Fathers, and in his works, "like a river which emerges again unexpectedly to the surface, the Hellenic spirit leaps 'like a spring of water that gushes up into everlasting life,' and the West is astonished" (Eleutheria, Aug. 29, 1954). Meetings With Kontoglou by Constantine Cavarnos (Institute For Byzantine and Modern Greek Studies, Belmont, MA, 1992) pp. 162-165.